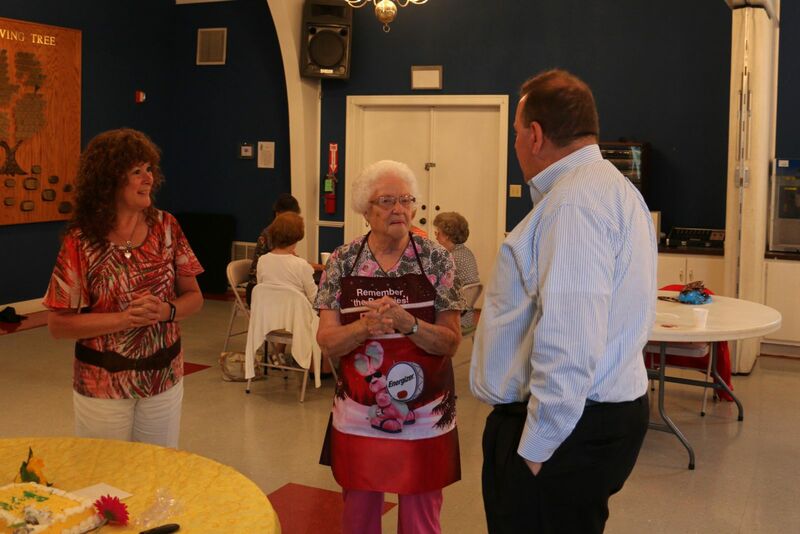 Senior centers across our state have become somewhat of a lifeline for many seniors in our community, not only providing them with a nice place to have a good meal, but also to receive basic medical attention, meet and make new friends and visit with long time ones. Senior centers are also a good place to gather important information and meet with providers and government representatives. The Marion County Senior Center is no different. Directed by Debbie Harvey with the main branch located in Fairmont, (with locations also in Fairview and Mannington) the Marion County seniors have a comforting place to go that provides all of the basic necessities. With the center run by a few employees, volunteers are an integral part of its success. Betty Nuzum is one of those volunteers. Her dedication to the Senior Center has allowed her to provide a “breathe of fresh air” not only into the lives of other seniors, but also into hers as well. At the age of 87, Betty qualifies and participates in many of the services offered, but she also spends her time volunteering at the center to make sure other seniors in the community are well taken care of. Described by many as the resident “Energizer Bunny,” Betty volunteers a number of days each week to assist the center with the preparation of meals that are not only served in the center, but also packed and dropped off by the center’s delivery service. Her service to other seniors and her dedication to the center is why Betty Nuzum was selected as this month’s Celebrating Volunteer Award winner by The Miley Legal Group and WBOY. As a resident of Fairmont for over 60 years, Betty and her late husband, Samuel Nuzum Sr., had one son, Samuel Raymond Nuzum, two grandchildren and five great grand children. In addition to raising a family, Betty also worked at Owens-Illinois for 27 years. Through volunteering, Betty has been able to share the blessings she has received in life. Her outlook and demeanor provide a comfort to those in attendance at the senior center. Everyone that visits the center looks out for her and can not wait to catch what she comes up with next. For those interested in more information about the Marion County Senior Center, please visit www.MarionSeniors.org.